London-based freelance photographer Jules Mattsson has received an out-of-court settlement and an apology from the Metropolitan Police over his arrest last year during an army parade. Mattson was covering the Armed Forces Day parade in Romford on 26 June last year when he was approached by officers claiming it was illegal to take photos of the parade – despite the fact it was taking place in the the middle of the town centre. He also claimed it was ‘dangerous’as he was ‘likely to be trampled on by soldiers’from the parade. Mattsson recorded most of the conversation on his mobile phone. Mattsson, an NUJ member, was then arrested for breach of the peace and detained for 15 minutes before being released. His civil case against the police was taken up by the head of Bindman’s police misconduct team Chez Cotton. ‘The police had no legal power to stop him photographing in a public place,’she said. She was able to prepare a transcript of the exchange and use it as evidence to support claims that Met officers had falsely imprisoned Mattsson, assaulted him and breached his right to report under Article 10 of the European Convention on Human Rights 1998. The Met’s directorate of legal services agreed an out-of-court settlement. As well as paying compensation and meeting his legal costs, the commissioner has also apologised to Mattsson. ‘The police have no legal power or moral responsibility to prevent or restrict what journalist record,’said Cotton. 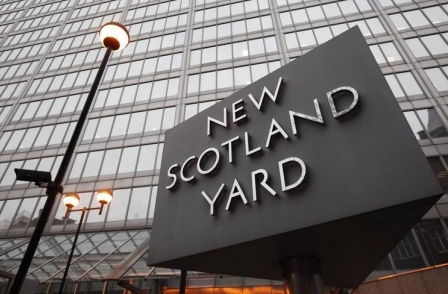 The apology from the Met said: ‘While reporting on the parade you were approached by Metropolitan Police Officers who prevented you from photographing the parade and subsequently arrested you for breach of the peace. ‘The purpose of this letter is to apologise on behalf of the Metropolitan Police Service (MPS) for the distress you have suffered as a result of police actions. ‘The MPS confirms its recognition that freedom of the press is a cornerstone of democracy and that photographers have a right to report freely. NUJ legal officer Roy Mincoff said the police’s behaviour was ‘very poor and unlawful”. ‘It is not acceptable conduct, has no place in the police force and is hardly likely to gain respect for the police amongst the youth of the UK,’he said. ‘The police have now recognised this, apologised and compensated our member.